run & grow your business. At Rocket My Brand, our primary goal is to help you grow your business, not by working harder, but by working smarter. As we often talk about in our RMB Growth Workshops, you must always be assessing and adjusting your resource allocation to how you run, grow and change your business. Automating your backend processes using technology is an obvious way to decrease your operational costs. But just as importantly, using technology to provide new services and retain loyal customers is a way to increase your bottom line. We believe that technology can be a force multiplier for any organization, if used in right way and at the right time. But how much should you invest in technology and where should you start? Let’s first take a step back and talk about the elephant in the room – Amazon. We have had many customers say to us, “Just make it work like Amazon!” And our response usually is, “Ok. Give us billions of dollars and we’ll make it work just like Amazon.” Amazon has undoubtedly changed the game in terms of how consumers buy goods and services. But we will let you in on a little secret – Amazon (specifically Amazon.com) is not really a store, they are a technology company. They have invested years and billions of dollars on building a technology platform that provides a personalized, customer-focused retail experience based on data and artificial intelligence. And now, they are acquiring major companies in other markets, like Whole Foods, and are immediately changing the game for every other company in that market. If multi-billion-dollar conglomerates are adjusting to the fast-changing market, then so should you. 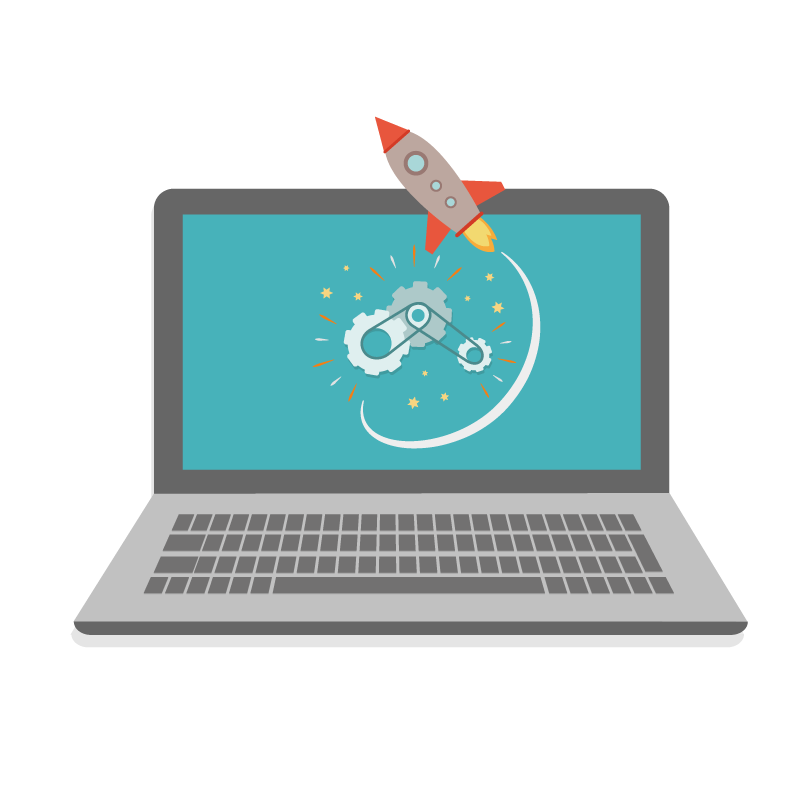 At Rocket My Brand, we take a very pragmatic approach to incorporating technology into your business in order to grow. Automating your internal processes can have a huge positive impact on your business, as long as you have clearly defined processes. Automating a bad process simply gives you super-fast bad! And we can’t tell you how many times we have seen organizations throw technology (and expensive technology at that) at a problem hoping it will solve it. Without a comprehensive business reason, a clearly defined strategy, and a program to ensure company-wide adoption, those technology projects usually fail. There are numerous ways in which incorporating technology into your day-to-day operations can help your business run more efficiently. There are also a plethora of ways in which technology can help you grow your business. Any technology you implement should directly align to your business needs, goals and objectives. For the purpose of this article, we are going to cover three major business needs including increasing productivity and collaboration, and nurturing and growing talent. Quite often, business owners are so focused on acquiring new customers, or putting out fires, that they often do not have a good understanding of what their employees do on a day-to-day basis. Being able to identify and automate low-value tasks your employees are performing will allow them to increase the productivity in areas that will impact your bottom line. There are some amazing, fairly inexpensive technologies that can help you increase efficiencies in areas such as file sharing, password management, collaboration, digital signatures, and chat, just to name a few. All of the tools we are mentioning in this section are all currently being used within our organization. One really powerful example that provides a lot of these capabilities is Google’s G-Suite, which, depending what package you choose, includes email, calendar, chat, file storage and management, and the ability to edit any digital file (document, spreadsheet, presentation, etc.) in real time with other people you invite….on any device! G-Suite is not as expensive as you might think with packages ranging from $5 – $25 per user per month. The ability to share and collaborate on documents alone makes G-Suite worth the cost. If you have multiple accounts you need to manage, another great tool is a password vault product called LastPass. LastPass can be used to store user IDs, passwords, notes, website addresses and more. You can access your vault using a master password, but can extend your security by adding what’s called multi-factor authentication, which means you have to have your phone with you in order to log in. You can even share vault entries with specific individuals so they can log in to specific sites using LastPass. One really great feature is LastPass can also create complex, secure passwords for you and save them. With LastPass you no longer have to try and remember all your passwords. Any technology you implement should directly align to your business needs, goals and objectives. As SMB owners ourselves, we try and make it as easy as possible for customers to work with us. We spend a lot of time working on project proposals for customers and want to make it easy for them to agree to do start a project with us. So, we have incorporated a free digital signature plug-in, called SignRequest, that allows us to open a document, mark where the document needs to be signed, and email the document to our customer for her digital signature. Once signed, we not only automatically get the signed copy emailed to us, but it is also stored in our G-Suite drive, and we also get a time-stamp document showing us who signed it and when. And finally, we are an organization that has embraced chat as a collaboration tool, even more so than email. We use a free chat tool called WhatsApp, which was built with SMBs in mind. You can create chat groups if you want to directly interact with specific teams, you can also make free voice calls to other users, and can even set it up to talk directly to your customers. Finally, you can send files and images directly to users as well. Ask us about our Consulting Services. At Rocket My Brand we have created an internal culture in which one of our biggest priorities is investing in our people. We spend the time to find the right talent and then develop them. But development does not have to mean expensive one-and-done classroom training or formal training programs. Studies have shown that more formal training is proving to be less effective and not necessarily what employees actually want. 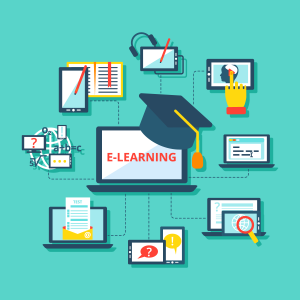 Axonify, a learning platform company, recently released its 2017 State of Workplace Training Study which said that although 69% of the 1,000 employees questioned did receive formal training, 43% of them said the training was ineffective. In addition, the study also showed that 89% of employees want training anytime/anywhere they need to do their job; 85% want to be able to choose training times that fit their schedule; and 80% believe frequent/regular training is more important than formal workplace training. 80% believe frequent/regular training is more important than formal workplace training. Therefore, at RMB we focus on more self-directed, micro-learning opportunities using some of the technology platforms available in the market today. As an example, we provide our employees with an Audible account to listen to the library of business and technology books we recommend wherever they want, and when they want. They can listen during their commute, at lunch, while doing their work, or at night before going to bed. By reading the same books the executive team reads, it allows your employees to understand the overall executive strategy, use the same language, and better engage in conversations internally. Another great online tool we use to share information is Slideshare, which is owned by Microsoft. Slideshare has well over 18M presentations with close to 500,00 being added every day. You can search the database for specific topics or browse the 40 categories that include everything from art to travel and everything in between. If the executive team finds a relevant presentation with good content, we simply use WhatsApp and message our employees with a link to the article. Sending it directly from the executive team lets the employees know it’s important and they should go through it. And finally, one other technology platform we use to help our employees learn and grow is Udemy, which has over 65,000 online courses. Udemy is always running promotions that allow you to purchase inexpensive training courses for your teams. As of the writing of this article, Udemy was running a promotion in which classes that normally cost $199 are available for $11.99 for a limited time. Again, your employees can take the training whenever and wherever they desire. Technology can be used both to more efficiently run your business, as well as used in innovative ways to grow your business. Much like we talked about in our article called Using Digital Marketing to Grow Your Business, determining how much you should spend in technology depends on what your current goals and objectives for your business. The more aggressive you want to grow, the more aggressive your investment should be. Using the same model from our article, we will share some general guidelines to determine your technology spend based on your yearly revenue. According to Gartner, one of the world’s leading research and advisory firm, globalinformation technology (IT) spending is predicted to hit $3.7 trillion in 2018, up 6.2% from the year before. Based on the research, John-David Lovelock, a research vice president at Gartner, made a prediction stating business leaders must prepare for a “new cycle of IT growth” as worldwide IT spending is projected to see its highest annual growth rate this year since 2007. In other words, the most successful companies continue to invest in technology as it is now a necessary part of any business. Global information technology spending is predicted to hit $3.7 trillion in 2018, up 6.2% from the year before. Research shows that the companies that use technology the most effectively spend approximately anywhere between 4% and 7% on technology, specifically for the purpose of running the business more efficiently. If you are also looking to use technology for more innovative purposes, such as launching new products or services, automating digital marketing efforts, or building a mobile application, obviously the total amount of technology spend will increase significantly. In general terms, Gartner states that an average organization spends approximately 70%, 20% and 10% of their total technology spend on running, growing and transforming the business respectively. Attend an RMB Growth Workshop! Just like any other part of your business, your overall budget should include a detailed technology budget that at a minimum includes labor, hardware and software needed to run your business. 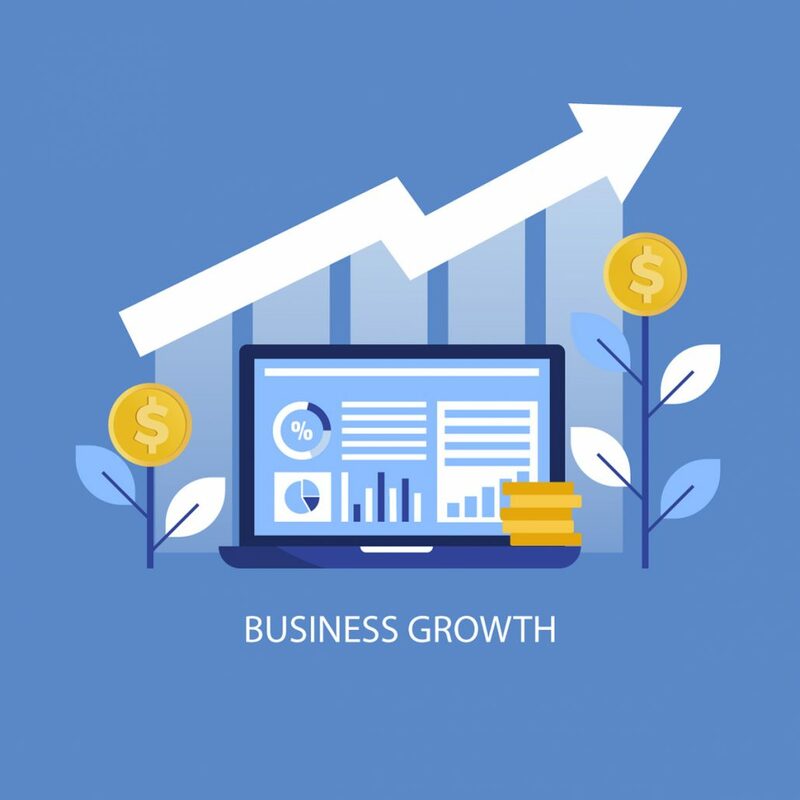 And it is critical to continuously review your technology needs prior to the next budget cycle to determine if there are expenses that can be reduced or, even better, reallocated to other technology initiatives that can help your business grow or transform. If funds are allocated to specific growth or transformation projects, those expenses should be tracked separately from the operational expenses. This will allow you to determine if you have realized an ROI from those specific projects. All of this said, perhaps technology is not an area in which you are experienced. This is where outsourcing some, or even all, of your technology services to other partners would be a good strategy. What are managed services? According to Wikipedia, managed services is the practice of outsourcing, on a proactive basis, management responsibilities and functions to improve operations and cut expenses. In the technology world, there are Managed Service Providers (MSPs) that will manage all of your IT services for a monthly fee, allowing you to focus on what matters most to you – your business. In addition to managed services allowing you to focus on your business, there are many benefits to outsourcing your IT through managed services including it allows you to more closely control IT costs, reduce the overhead associated with hiring IT staff, and reduce risk. Most MSPs will charge you a monthly fee to manage your technology environment, allowing you to more effectively budget for ongoing operations. In addition, the MSP will also take the lead, as the technology experts, in defining your overall technology strategy and make recommendations to the business. Having an MSP handle critical parts of your business, like technology security and compliance, will reduce your overall business risk as they are the industry experts. Technology continues to change at a rapid pace and it can be difficult to keep up. By outsourcing your IT needs to an MSP, it will be up to the MSP to stay abreast of the latest technology trends as that is the core part of their business. This will take pressure of leadership as it can focus on business needs and the MSP can make recommendations on how to meet those business needs with technology. Outsourcing your IT will allow you to more closely control costs, reduce the overhead associated with hiring staff, and reduce risk. Another benefit of outsourcing your IT is greater flexibility in terms of scale. Many MSPs take a modular approach to managed services, allowing you to add or remove services as your business needs change. As your business grows, you can renegotiate your contract with your MSP and add services much more quickly than if you had to hire resources and procure the technology in house. And finally, be sure to do your due diligence when picking an MSP. Each IT service provider is different in terms of IT knowledge, skill-levels, service offerings and pricing. Just because they are the cheapest MSP in town does not mean you will get the highest quality of service. In order to grow your business, you will need an MSP that also has business experience so they can be part of the strategic decisions that will ultimately impact whether your company grows or not. As we say all the time, it’s not really about the technology – it’s about how the technology can enable the business.